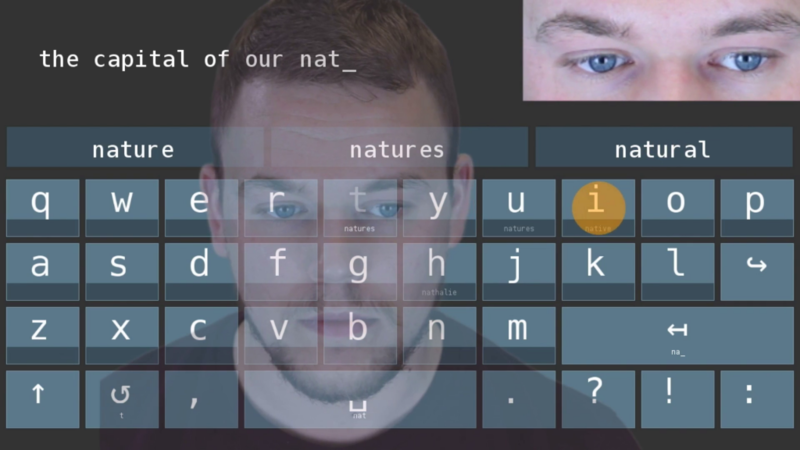 MAMEM and the Institute for Web Science (WeST Koblenz) presents a novel “GazeTheKey” interface for eye typing, where keys not only signifies the input letter, but also predict the relevant words that could be selected by user’s gaze utilizing a two-step dwell time. The proposed design brings the relevant suggestions in the visual attention of users, minimizing the additional cost of scanning an external word suggestion list. Furthermore, it offers the possibility to include much more suggestions than the conventional interfaces having few suggestions at the top of keyboard layout. The interface will be demonstrated at the IUI conference in Cyprus on March 13-16, 2017. You can watch the video demonstrating the functionality here.